I ditched the car yesterday and decided to walk to a meeting. To avoid the afternoon sun, I stayed off of Ala Moana Blvd and took smaller streets crisscrossing Kakaako. It was so refreshing to get a different perspective on the neighborhood I call home. 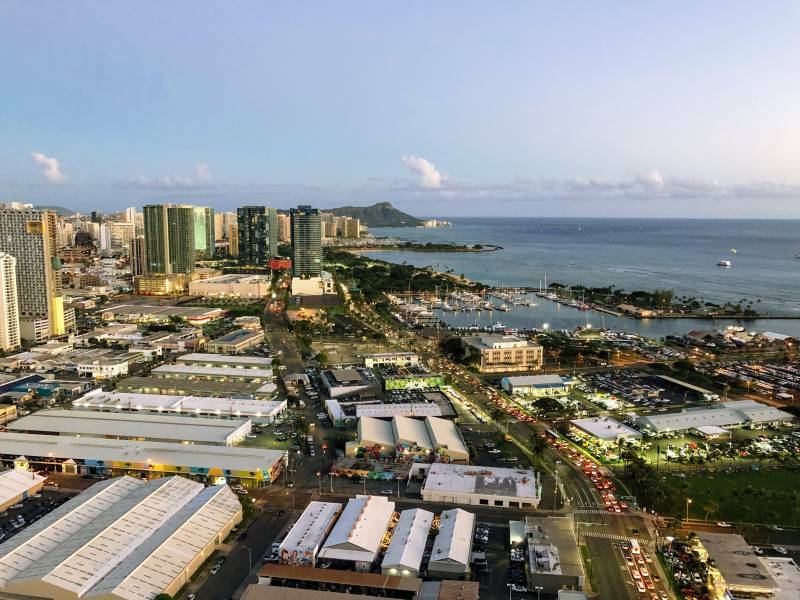 Kakaako is a thriving neighborhood that is seeing a transformation unlike any other neighborhood in Honolulu. The area, for years, was home to light industrial warehouses that offered services ranging from car repair shops, bars, to home furniture shops. It was, and still is, as eclectic as eclectic can get. The community, however, is changing. While many of the businesses still exist, they are now a part of an evolving neighborhood that offers contemporary living, world-class restaurants, and some of the most amazing condo residences in Honolulu. 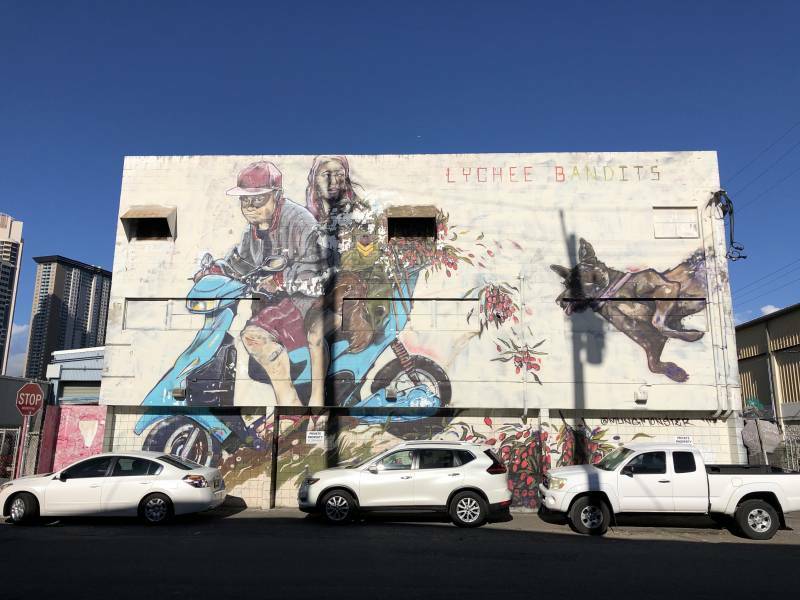 The neighborhood is covered with murals that cloak the walls of old and new buildings. 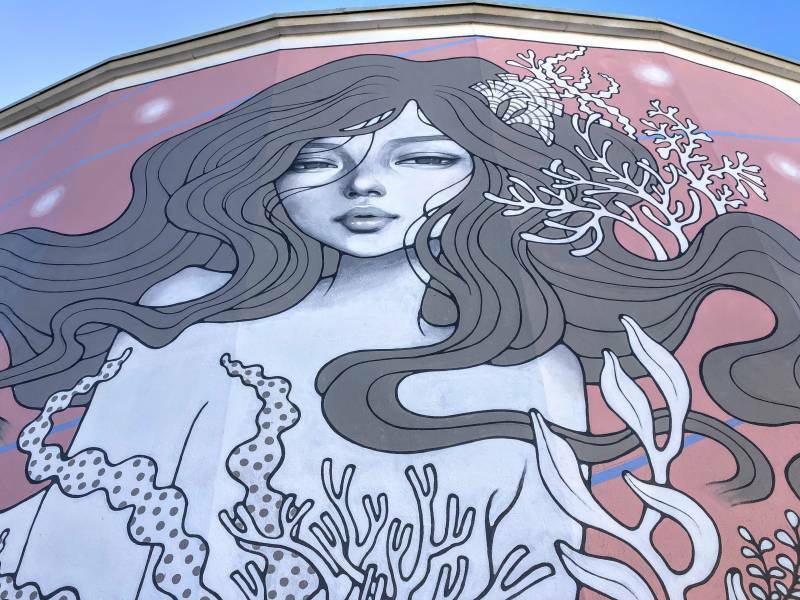 The murals attract tourists from all over the world and add a fun element to an already great neighborhood. The best way to experience them is to simply leave the car behind, and explore the neighborhood at a slower pace. One of many beautiful Kakaako murals. Location: 800 Pohukaina St.
Kakaako murals are on every street and on many of the older buildings and warehouses. There are more popping up regularly. The area is so colorful and is a pleasure to be in. It is no wonder that Kakaako is becoming a go-to community. There is something here for everyone. Kakaako now. Changes are coming. Murals cover the walls of many of these Kakaako buildings. Many of the high rise buildings in the above picture, didn’t even exist three years ago. The area was predominantly light industrial. Now it’s a beautiful residential area. The murals that cover much of Kakaako add to the transformation. While many of the businesses are still around, the area no longer feels like a business district, but rather a hip residential community that offers stunning views, great hang out places, and an easy commute to other parts of Honolulu. Murals are not only on the walls of older buildings. 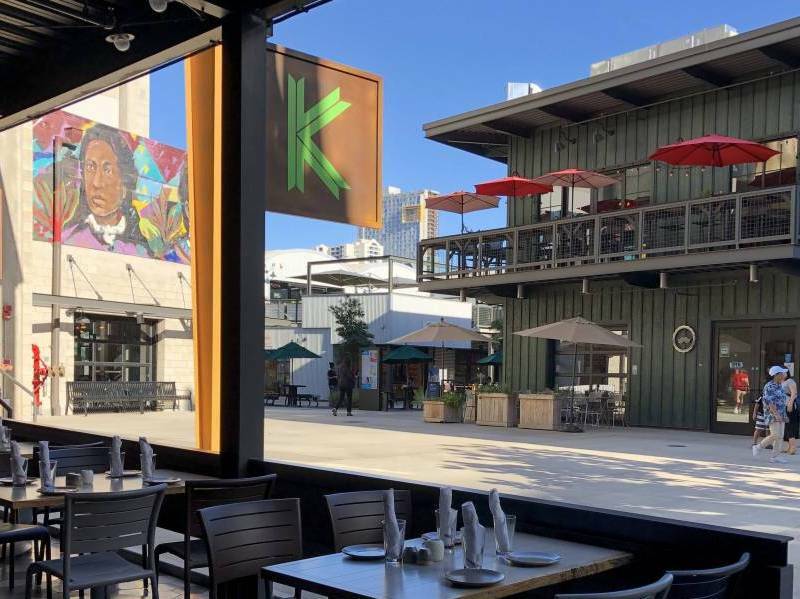 The new Salt Kakaako has several murals gracing the walls of restaurants and stores. Once you start looking for them, they’re really everywhere. Each is so unique, and every one of them was painted by very talented artists. Kakaako murals at Salt Kakaako. 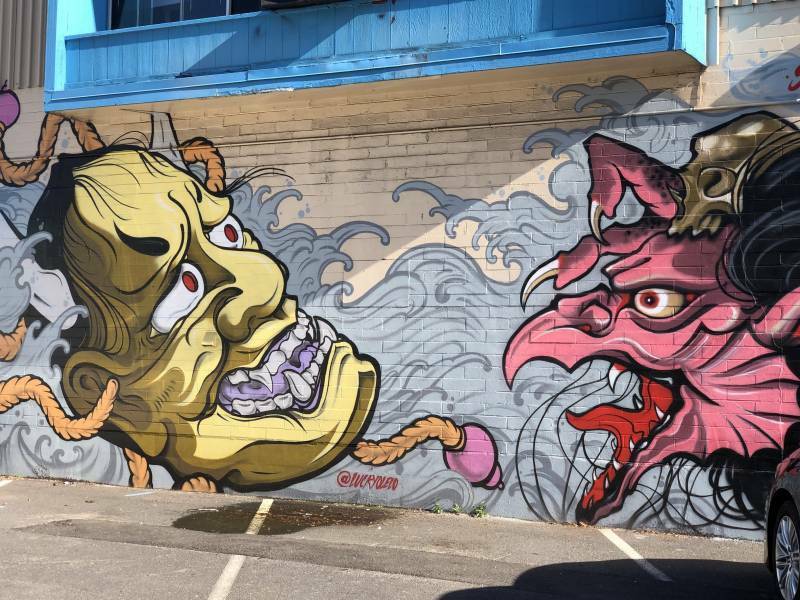 Check out Kakaako murals the next time you have time. Explore Kakaako, and see for yourself how beautiful and fun the neighborhood is. This is just the beginning. There are many more changes on the horizon. 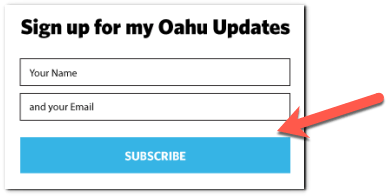 If you have questions about Kakaako condos or Oahu real estate, please don’t hesitate to contact me.